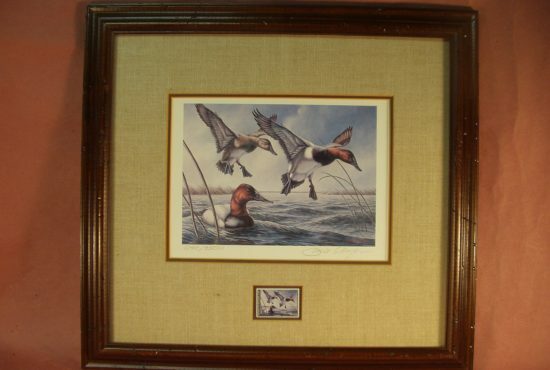 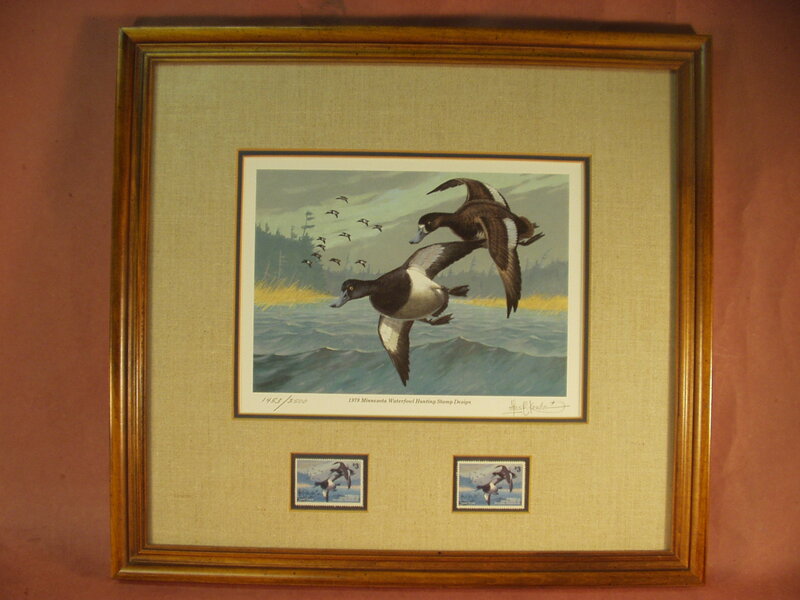 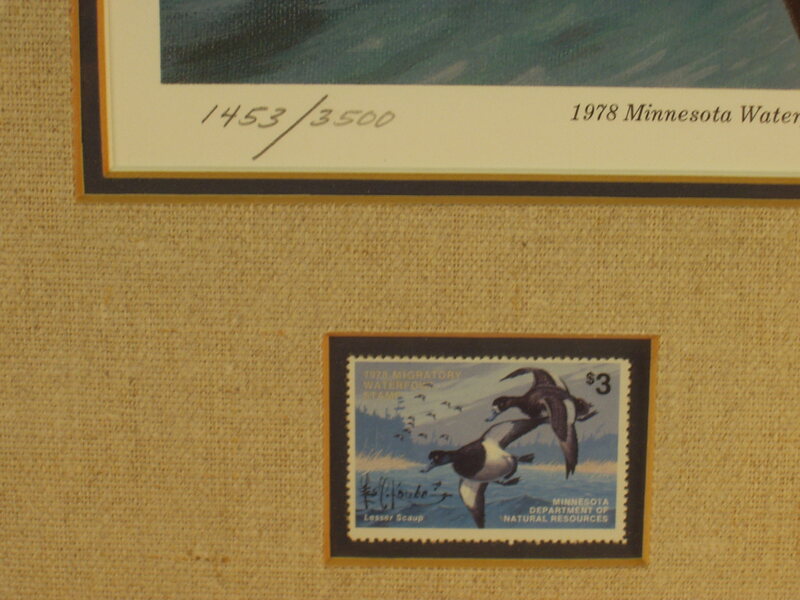 Pictrued is a 1978 Signed Les C. Kouba Minnesota Duck Stamp & Print ( Bluebills ) This print is number 1453/3500. 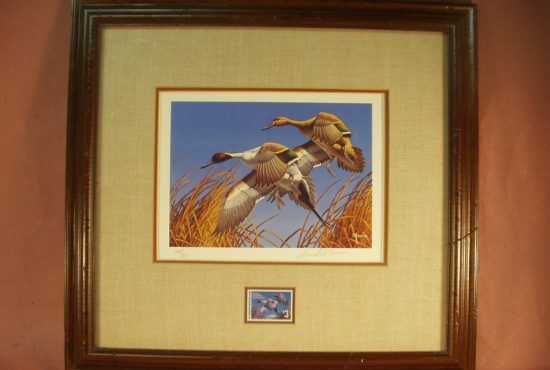 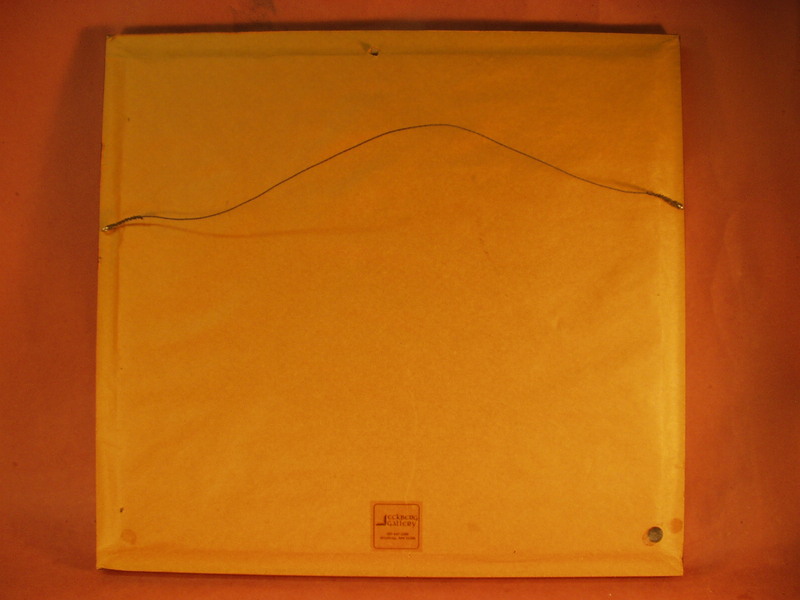 Print and stamps are in MInt condition, frame is original to the print.. Print frame measures 18 1/2″ X 17″. 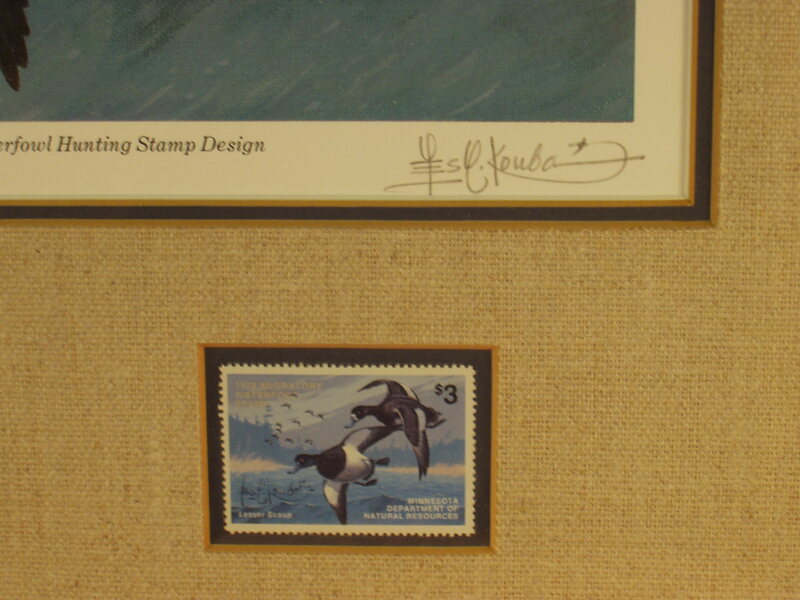 Print includes 2 stamps one is signed by Les Kouba the other is not signed.